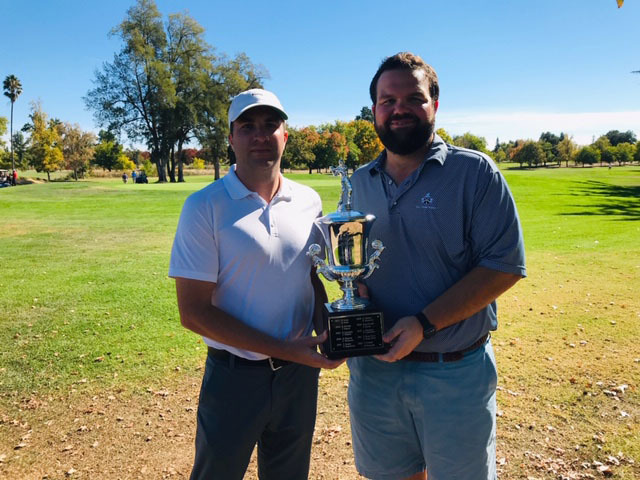 The Sacramento County Four-Ball Championship was played at Mather Golf Course on October 20-21 and October 27-28, 2018. Jeremy Harris and David Leuterio battled it out all day with the number 16 seed to win 1 up on the 18th hole. Runners-up Austin Childress and Zak Wibberley (pictured) fell 3 down twice before Zak eagled the 12th to go to the 17th hole 1 down. Zak almost sank a 17-foot birdie putt on 18 to force a playoff, which would have been their third match to go extra holes. 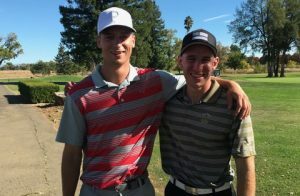 Earlier in the tournament, Austin and Zak won two matches on the 19th hole. This was their first time to play in the Four Ball at Mather and they told me THEY WILL BE BACK. Austin chipped in on 18 to qualify for the 16th seed. They had 4 eagles over the 4 days. Harris and Leuterio qualified as the #3 seed and won their second County Four-Ball, to go along with their win in 2005.